The American Honors program at Union County College helps motivated students transfer to their dream school to obtain their bachelor’s degree. The Honors program cultivates in-depth learning through individual inquiry and encourages high-quality performance. Honors courses are interactive and emphasize critical thinking, analytical writing, and effective speaking. The American Honors program is not a separate track or major; students matriculate into a Union County College degree program and take Honors courses toward fulfillment of their general education and program requirements. Students possessing a high school diploma (or equivalent) - including new students, continuing students, international students, and transfer students - should apply directly to American Honors at Union County College. To be eligible to enter the American Honors program, students typically have a cumulative GPA of what is equivalent to a 3.25 grade point average (GPA) on a 4.0 scale and must be enrolled in a transferable degree plan. Contact an American Honors Admissions Officer (honors@ucc.edu) to learn more about joining the Honors program. All completed Honors courses are identified on student transcripts. Students who take these classes are exceptionally well prepared for transfer to four-year colleges and universities, for scholarships, and for success in their transfer institutions and career paths. For more information, visit http://www.ucc.edu/honors or contact an American Honors Admissions Officer at honors@ucc.edu. UCC 101 is a hands-on college success class designed to help all students adjust to college by giving them the information, strategies, and support they need to do well in their college classes and stay on the path to graduation. This course will help students explore career and four-year college options, navigate the academic environment, and learn to think and read critically. Students will familiarize themselves with college-level research, study skills, and personality and career inventories that will help them make future decisions. This course is a resource for students to get their bearings in college and set educational and professional goals into action. All first-time full-time students taking twelve or more credits are required to take UCC 101 in order to progress in their programs. Although this course is not listed among the required credits within each program, it is considered a college-wide requirement which must be fulfilled by all first-time full-time students. New Student Orientation is the first step to achieving academic success at Union County College. New Student Orientation (NSO) is required for all first-time, full-time students entering the college during the Fall or Spring semesters. By participating in this program, you will be knowledgeable about the tools needed to successfully navigate your college education experience. At the session, students will learn about degree requirements for graduation, meet other students, and gain assistance with developing an educational plan, and register for your first semester of classes. The mission of the Educational Opportunity Fund (EOF) Program at Union County College is to provide students from disadvantaged communities, who demonstrate the potential for academic success, an opportunity to attend college. Our purpose is to help students successfully graduate and transfer students to four-year institutions, as well as provide a high level of preparation and readiness for the workforce. What services or benefits are offered to Union County College EOF students? Priority for acceptance into the EOF Program is given to first-time, full-time college students. 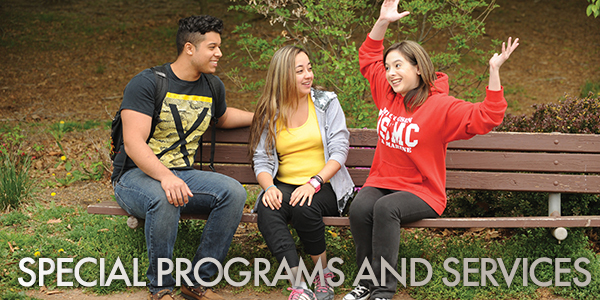 To learn more about the Educational Opportunity Fund Program, contact us at (908) 709-7088 or email us at eof@ucc.edu. The Psi Chapter of the Chi Alpha Epsilon Academic Honor Society is a national honor society for students in the Educational Opportunity Fund Program. EOF students who hold a 3.0 cumulative GPA for two consecutive semesters with a minimum of 18 college credits are eligible to be members. The purpose is to promote continued high academic standards, foster increased communication among its members, and honor the academic excellence of those students admitted to college via developmental program pathways. The Engineering and Architectural Honor Society is for students in an A.S. Engineering or Architecture program. Membership is extended by nomination of the Engineering/Technology/Architecture faculty to students who have completed at least 15 credits of the required courses in their major program with at least a 3.5 GPA in that program. Students with a strong interest and ability in mathematics are recognized through admission to Mu Alpha Theta. Mu Alpha Theta is a national honor society which promotes scholarship in mathematics at two-year colleges. Requirements for admission are 3.5 average of any credit mathematics course, an overall 3.25 cumulative average, and finishing at least MAT 144 or above. Students who achieve outstanding scholastic records and demonstrate qualities of good citizenship receive recognition through admission into Phi Theta Kappa. Phi Theta Kappa is the international honor society which aims to promote scholarship, develop character, and cultivate fellowship among students of two-year colleges. Iota Xi is the chapter of Phi Theta Kappa at Union County College. All students who have earned 12 transferable credits at Union County College with a cumulative average of 3.6 are eligible for admission into Iota Xi Chapter. Psi Beta is a national honor society in psychology associated with the American Psychological Association. It was founded expressly for community and junior colleges. The purpose of Psi Beta is to promote, encourage, and recognize scholarship for students in psychology. The local chapter encourages member participation in workshops, seminars, conferences, and other educational experiences, as well as service to the community. Membership requirements are, at minimum, an overall average of 3.25 GPA, a least 12 credits, and at least one course in psychology with an overall grade of “B” or better in each psychology course. Tau Alpha Pi, New Jersey Beta Chapter. The Tau Alpha Pi National Honor Society is a national honor society for students matriculated in an AAS Engineering Technology program. Membership is extended by nomination of the Engineering/Technology/Architecture faculty to students who have completed at least 15 credits of the required courses in their major program with at least a 3.0 GPA in that program. Lambda Epsilon Chi is a nationally known academic honor society for paralegal students. Sponsored by the American Association for Paralegal Education (AAfPE), the society offers national scholarship opportunities, participation in regional, state and local conferences, and networking opportunities. Candidates for membership in Lambda Epsilon Chi must be in good academic standing and have completed at least two-thirds of their paralegal coursework. Candidates also must have a cumulative GPA of 3.5 or higher. Union County College is a member of the New Jersey Sea Grant Consortium, which affords students the opportunity to become acquainted with the marine environment through summer credit course offerings. The offerings supplement the science curricula at the College and increase the course options available for students. Depending on your test scores, you may be required to take one or more semesters of Developmental English or Mathematics. All required developmental mathematics courses, as determined by placement testing, must be completed prior to enrollment in credit mathematics courses. In some instances, credit course placement may be determined through satisfactory performance on the College Level Mathematics Exam. Contact the STEM Dean’s office for more information. If that’s the case, it is likely that you’ll spend more than two years studying at Union County College. Along with these Developmental courses, there are other College requirements, such as UCC 101 , and program prerequisites that you may have to complete. It is very important that you stay in close contact with an advisor or a Faculty advisor throughout your time at Union County College. This will help keep you focused on your program curriculum and ensure you’re taking the right classes for your specific major. Refresher courses and accelerated options are available in developmental mathematics and developmental English. Students may contact an advisor or the appropriate Division Dean for more information. At any level, students may be evaluated and moved up from one level to another without having to take all the intervening courses. For example, some students will take ENG 096 and after successfully completing the coursework may take an exam to test out of the sequence. Although this happens in rare cases, students should expect to take all the courses in the sequence and plan their semesters accordingly. ENG 087 is a prerequisite for ENG 096 so students who are required to take ENG 087 will only be able to take other courses that do not require ENG 087 as a prerequisite (such as BUS 101 or FIA 103 ). **For STEM majors: upon completion of MAT 021 register for MAT 119 . The Institute for Intensive English provides a program of intensive instruction in English for speakers of other languages. Through this program students have the opportunity to enhance their English language abilities in order to further their academic, career, and/or personal goals. After placement testing, students enter an appropriate ESL level of instruction commensurate with their abilities. In all levels, students can register for two core English for Academic Purposes (EAP) courses: Grammar/Writing and Reading/Listening/Speaking. BUS 101 - Introduction to Contemporary Business , BUS 105 - Organization and Management , COM 100 - Communications Technologies , CRJ 101 - Introduction to Criminal Justice , ADM 140 - Customer Service , PSY 101 - General Psychology , SOC 101 - Principles of Sociology , SCM 101 - Introduction to Supply Chain Management and other courses with permission. Please be advised that New Student Orientation is required for all first-time students who intend to enroll full-time. The Languages offered by the College are Spanish, French, Italian, German, Mandarin Chinese, and Arabic. ESL Students are Not Required to Take Modern Language - All ESL students who have completed that program are exempt from the English program Modern Language requirement. They may, however, elect to study a language, including their native language, if placed at their appropriate level of competence. In any case, they must complete their general education humanities course requirements. Native Speakers may not take elementary level courses of their native language - Native speakers may not enroll in the elementary level of their native language. They may not take language courses designated as 101, 102, 105, and 106. They require permission of the Division Dean to enroll at the Intermediate Level Language (courses designated 111 or 112). Language Exemption does not mean that credit is given for the courses exempted - Students exempt from taking a given language may consider taking some other language or they may fulfill their humanities general education requirements by substituting other courses in the humanities/history category. Language exemptions do not entail college credits for the courses exempted. Many Associate in Arts Programs Require 2 or 3 semesters of a Modern Language - Please review specific requirements in each program. Modern Language Placement - Students who qualify for the intermediate or advanced level of a Modern Language in their freshman year will be placed accordingly. Distance education at Union County College provides an educational experience that is equivalent to traditional courses. Distance learning courses cover the same course subject matter, carry the same credits, and are taught by highly qualified Union County College faculty. Courses are available in the fall, winter, spring, and summer sessions. Are you able to commit time each day or week to your online course(s)? Do you have good reading, writing, and communication skills? Are you comfortable seeking help when needed? May require the use of third party course packages, web based tools, etc. Questions about student identification and verification should be directed to the Distance Education department, (908) 497-4364. Fees: There may be additional fees for online courses. Do I have to be a computer expert to take an online course? No, but at a minimum, you must be able to access the Internet, locate and upload an attachment to email, send and receive email with attachments, and create, save and open documents. Smart phones and tablets may not be suitable for your course. Students need daily access to the internet, a working computer camera, and a working computer microphone. Students must have a photo ID and produce a knuckle scan to verify identity. Courses are held entirely online. All online courses protect student privacy and provide ADA accommodations. Questions about student identity verification, online course integrity, FERPA, and ADA in online courses should be directed to the Distance Education office located in the basement of the Cranford Library, L-22, by phone at 908-497-4364 or by email at ucconline@ucc.edu.